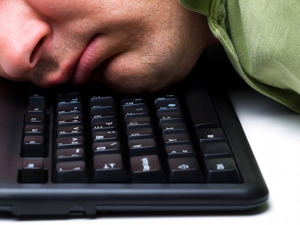 Someone asked me recently how I got into the digital marketing biz My reply? Hmmm…I’m really not sure. It just kind of fell into my lap back in early 2007. Honestly, it was a nightmare for the first year. I had come from a national advertising agency career as an account exec. My client work did dabble in digital marketing work since 1999. Only, it was really small potatoes projects. Thinking back upon those early years, I feel it was a good thing I eased into things. The problem with so many “gurus” is that they all think they have the market cornered on what works. Granted, with digital marketing, there’s an enormous amount of channels you can invest in to grow your business. Me? I only focus on what works for each client. For some, it’s 100% YouTube marketing. Others need SEO or email video marketing help. By 2007 I left my six fig gig. It was actually a major mongo risky move. With three small kids and a wife who wasn’t working, you could say I was sticking my neck out pretty far under the guillotine. Failing my way into this business truly is how I succeeded. One of my very first clients was an ice cream shop down the street. Guess who got paid in free ice cream that summer? But my first few years were interesting because I didn’t want to go down the backlinking path. Instead, I wanted to carve out a ranking formula based on content management. Don’t forget, since day #1 all Google wanted to do was serve up genuine, relevant content (sites and video) to their searchers. So my thought (with many thousands of tweaks) was to develop a content strategy that benefited my clients. You could say the approach was based on cause and effect. Although even to this day I focus on trends than merely on blips. Trends are good because chances are good they’ll keep going like great guns for a while. Blips are merely abnormalities that typically never have any metrics behind them. So the more time I spent analyzing client rankings while making changes to their site content, the more interesting things grew. It really was kind of a mad scientist working in his basement 18 hours a day type process. The goal was to develop a methodical understanding exactly what Google and YouTube wanted to reward rankings. As I took on my clients by 2009, I could tell I was getting closer to putting my paws on a viable content formula to earn real ranks. Again, it all went back to tracking our keywords and rankings. Then adjusting content and keyword relevancies over time. I know, it sounds like mind-numbing fun right? In 2012, (thank you Google) the Penguin algorithm launched which now penalizes million of sites for having spam backlinks. Phew. My instincts were spot on. Pretty quickly everyone in the business started scrambling changing their business models to Penguin penalty recoveries. Duh! 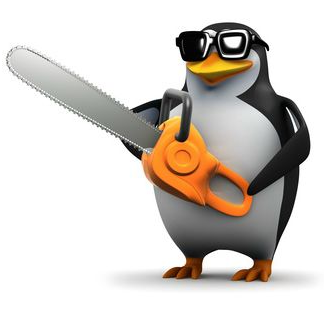 These days you see a plethora of companies out there offering Penguin recovery services. I’ve seen ones as high as $2500. Damn, that’s a lot of dough. I’ve done them as cheap as $750 but it really depends on the quantity of spammies you have pointing to your site. Truth be told, backlinks will always be part of how Google evaluates the popularity of your site. However, you can actually rank sites with zero backlinks. I do it everyday. As time progresses, natural backlinks will develop so it’s kind of a double whammy result. Thinking back to my career in advertising and now doing only digital marketing, I pretty much failed my way into success doing both. As far as PPC clients, there’s a method to my madness which includes creating custom video for their target landing pages. Nothing converts better than video. I won’t bore you with too much more self-promotion. My clients are doing well and really the focus of our projects is more about converting traffic than just ranking. Anyone can own a site that ranks well. But very few sites actually convert traffic into prospects and sales. Think trends. They’ll always be your best friend if you can pinpoint what causes them.